The nineteenth in the New York Times–bestselling series, featuring the original paranormal detective. 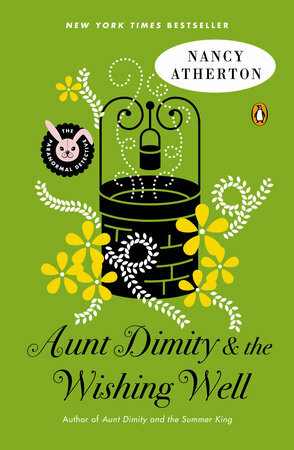 Watch out for Nancy Atherton's latest, Aunt Dimity and the Widow's Curse, coming in May 2017 from Viking! In this New York Times bestseller, dashing Australian Jack McBride arrives in the village of Finch to wrap up his reclusive late uncle’s affairs. While helping Jack clear out his uncle’s overgrown garden, Lori finds a long-forgotten wishing well. As a joke, she makes a wish—and it comes true! Word spreads, and soon the entire village besieges the well with wishes of their own. As more and more wishes come true, chaos ensues, and Lori—with Aunt Dimity’s otherworldly help—races to prove there’s something other than magic at work before her beloved village implodes.